Brenda Heist went missing without a trace 11 years ago and was later declared dead. What happens now that she's back? In 2002, Pennsylvania accounts clerk Brenda Heist set dinner out to defrost, folded some laundry, and took her daughter and son, eight and 12, to school. Then she disappeared, taking a spur-of-the-moment decision to join a group of homeless hitchhikers on their way to Florida. She had been in the middle of an amicable divorce and had recently learned she had been denied housing support. Several years and countless hours devoted to the investigation later, her husband Lee went to court and had Brenda declared officially dead. 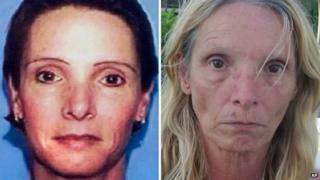 Brenda Heist, now 54, is suddenly back, having been found living the life of a vagrant in Florida. So what happens next? That someone has been declared dead in absentia in the first place implies that the person has abandoned her life and responsibilities for quite some time. Normally, a death certificate is issued once a doctor can verify a person is deceased. But in the case where there is no body, the requirements are more demanding. "They're only legally dead if a court says they are. There has to be a court proceeding for the determination," says Patti Spencer, an attorney in Lancaster, Pennsylvania. In some cases, petitioners must present affidavits and good-faith evidence that the person in question cannot be located. In other cases, the passage of time is proof enough. "It can be done at any time. However, if they are absent for seven years, a presumption arises that they are dead." She notes that these cases are handled through state courts, so statutes may vary from state to state. In Pennsylvania, the assumption is seven years. In other states, it's five. Most states also have a disaster clause, instituted after the 9/11 attacks, that allow for death certificates to be issued soon after a mass calamity rather than forcing loved ones to wait for years. Heist - who told police she slept under bridges, scavenged food from restaurant bins and begged - had been missing for more than the required seven years when her husband filed to have her declared legally dead in Pennsylvania. When his wife disappeared he was initially investigated as a possible murder suspect, but cleared. The declaration allowed him to remarry without having finalised his divorce from Heist. It also triggered a payout of her life insurance policy. Her death would have been reported to the Social Security Administration. Any government benefits she may have been receiving would have been stopped, and her Social Security number would have been voided for any use to claim government services. While getting a death certificate for a missing person can be time consuming, reversing it takes considerably less effort - namely, a trip to the courthouse by Heist. "A court would just rescind it," says Professor Lee-ford Tritt, director of Estate Planning at University of Florida, who says it would do so quickly once Heist had made an appearance in front of a judge. "That's not going to be a problem." But in many ways, the legal paperwork is the easy part. Rescinding the death certificate won't undo all the actions that followed the declaration of death in absentia. The good news, says Spencer, is that Pennsylvania law "covers a lot of bases" in the event that a person declared dead shows up alive. John Burney (1976-1982) - the Arkansas man drifted to Florida after a late-night car accident; he was trying to escape personal and professional debts. He returned to the state to visit his ailing father, and was found liable for life insurance money paid out in his name. For instance, a death certificate allows the person's property to be distributed to heirs. But in the case of a court-issued death certificate, "the person entitled, a spouse or kid, has to post a refunding bond", before the property is distributed, says Spencer. "If the person comes back, like this poor lady did, and someone else has her property, they have to give it back, and if they can't, then this bonding company has to make it right," she says. But that only applies to the estate - possessions and real estate owned before the death. It doesn't cover any life insurance payouts - and now that Heist is not, in fact, dead, the life insurance company will want their money back. "What will probably happen is the company is going to sue her, but she's homeless and doesn't have any money," says Tritt. He says the husband could be liable for "unjust enrichment" and forced to pay the money back. Then there's the remarriage. Most states have statutes on the book that consider the marriage ended once the person is declared dead, whether or not that person turns up alive. Their reappearance cannot disrupt any new marriages that might have taken place. While she was living in Florida, Heist worked some small jobs under the table. Tritt doubts she will be liable to pay taxes, since she probably earned less than the federal minimum required for taxable income. She may not face any legal repercussions, either. "As long as you have no intention of defrauding anyone, as long as you don't profit from it, you can just walk away and that's it," says Frank Ahearn, a privacy consultant in New York City and author of How to Disappear. But that doesn't mean she'll escape punishment of one kind or another. "When people contact me and they want to disappear, I tell them: don't burn bridges, you might want to come back," he says. Her family - including her ex-husband and two children, now grown - had to live with hope that she would return, and then mourn her once she was declared dead. That damage will be difficult to reverse. Heist's daughter, Morgan Heist, now a 19-year-old college student, said she is not eager to restart their relationship. Her ex-husband, who was reportedly shunned by some neighbours after his wife's disappearance, is also still coming to terms with her return. "It's a real kick in the teeth to think your parents are dead. Her husband was a suspect," Ahearn says. "Life was tough for you and you just disappear, and now you're back? It's not that easy to reintegrate." Brenda Heist may be back from the dead, but her actions will continue to haunt her family.